John Cryan’s latest profit warning probably won’t be his last. Late on Wednesday Deutsche Bank’s co-chief executive presided over a second such announcement in as many quarters. This time, he’s predicting earnings for the fourth quarter will be 2.1 billion euros in the red. That’s three times the size of the average net loss that 14 analysts surveyed by the bank had pencilled in. The worry is that none of the three principal causes – litigation provisions, restructuring charges and tepid revenue – is easy to fix. It’s more likely that all three factors will probably persist. Consider the top-line weakness first. In a memo to employees, Cryan blamed it on a misfiring investment-banking division. Wall Street banks did not have a great final three months of the year, either. But some showed resilience in fixed income, traditionally a Deutsche strong suit. Citigroup’s traders, for example, managed to boost the top line by 7 percent compared to the same period in 2014, and Bank of America’s by a fifth. Deutsche is in a more precarious position. It’s still shedding risk-weighted assets – having said in October it aims to offload some 28 billion euros worth or 14 percent of the investment bank’s total. That makes it hard to grow. Barclays’ restated revenue in 2014, for example, dropped by about a quarter when it cut its investment bank’s RWAs by 46 percent. Legal charges, meanwhile, are doing a passable impression of being a perennial bugbear. Deutsche’s 1.2 billion euros in fresh provisions, which could rise before it officially reports results on Jan. 28, were probably spurred by Goldman Sachs’ recent $5 billion settlement of alleged misconduct relating to mortgage-backed securities. This may be Deutsche’s largest outstanding fine, but other worrisome unknowns include murky trades carried out by Russian clients, seemingly for the purpose of evading sanctions. In Deutsche’s third-quarter report, the list of current proceedings ran to more than 10 pages, excluding mortgage-related investigations. Cryan may have more of a chance to control restructuring costs, but even he admits they may dog Deutsche for the next two years. Deutsche is still trading at a depressing 55 percent discount to its tangible book value – lower than Citi, the worst-performing major U.S. bank – and a 15 percent gap from the average for its closest six European peers, according to Eikon data. With more kitchen sinks set to fly, it looks unlikely that Deutsche will close that anytime soon. Deutsche Bank on Jan. 20 said it expected to announce a full-year net loss of 6.7 billion euros when it reports on Jan. 28. It expects revenue of 33.5 billion euros for the year, compared with the consensus estimate of sell-side analysts of 34.4 billion euros. The bank also said that litigation charges would probably be about 1.2 billion euros, while charges for restructuring and severance would amount to 800 million euros. In addition, Deutsche will take a 100 million euro charge relating to the impairment of software. 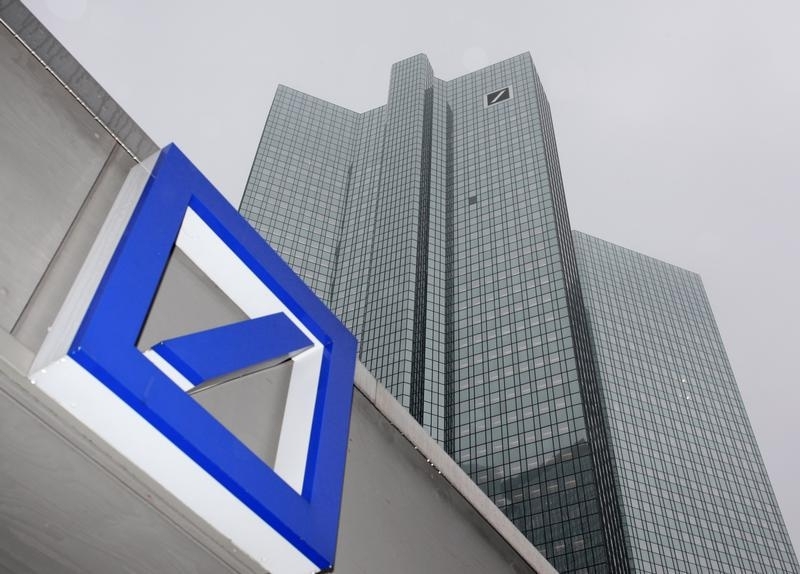 In a memo to employees, Deutsche Bank co-Chief Executive John Cryan blamed the group’s investment banking division for the revenue decline in the fourth quarter. “We expect the next two years to consist of hard work, burdened by the costs of restructuring the bank and making much-needed investments,” Cryan wrote.